What are my options to increase upload speed? Below are the line status info copied from router page. What my real question is, What can i do to have [3 spam links removed by admin] a better upload speed? I'm connected with wire (not wireless) from the router. *do i have to upgrade to fiber? meaning the box is around 1 KM distance away from me right? if that is correct, approximately how much will it cost me to replace the line with fiber? Re: What are my options to increase upload speed? 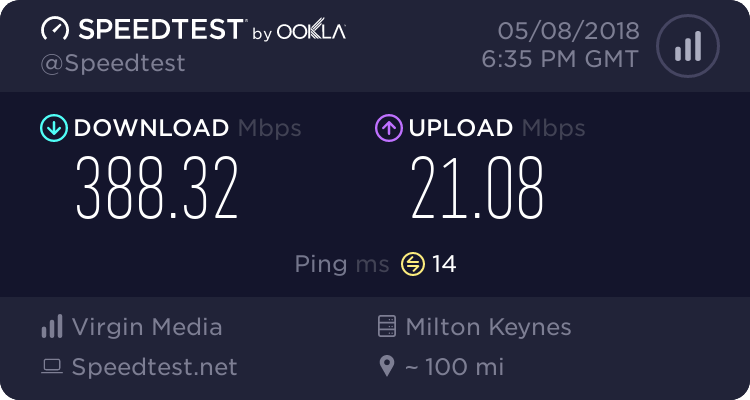 Mine is limited by the package I am on from my ISP, recently PlusNet increased my upstream bandwidth to 9.5 Mbps seemingly randomly and it just started working and had seemingly no impact on anything else. He's on ADSL 2+ and that's quite likely what the limitation is. Presumming you are in the UK put your phone number into the following checker and post an image of the results (minus your number), if the number is not recognised use the link at the bottom of the page to the full address checker. I doubt it's the UK. Do we sell ADSL2+ as 25/2 here? Don't know any ISP's who supply that Huawei modem either. There was some odd wordings such as 'company' and 'local central' as well as the 25/2 which made me wonder. I've also just noticed the links, and they look a bit dubious, all to do with downloading and not uploading. Thank you Eric & Ronski. Now I have time to look properly, noticed this post on the Sky forums. Same post also on Talktalk from original post on reddit. Oh and just found this "powershell script which will run against a remote host." which also has 3 spam links inserted. This post is a direct copy of a genuine post on reddit. This thread was temporarily moved to a holding area, but in view of the fact that it was posts on other forums that helped me identify this spammer for the scum that he is I'm re-instating the thread, so that the name, email address & IP address will be shared with other forum owners in an attempt to help combat spam via SFS & 'Stop Spammer'. I do not take kindly to people wasting the time of our regs. eta added TT and reddit info - thanks J0hn.